Have you ever wondered about the best places to visit in the city of Chennai? 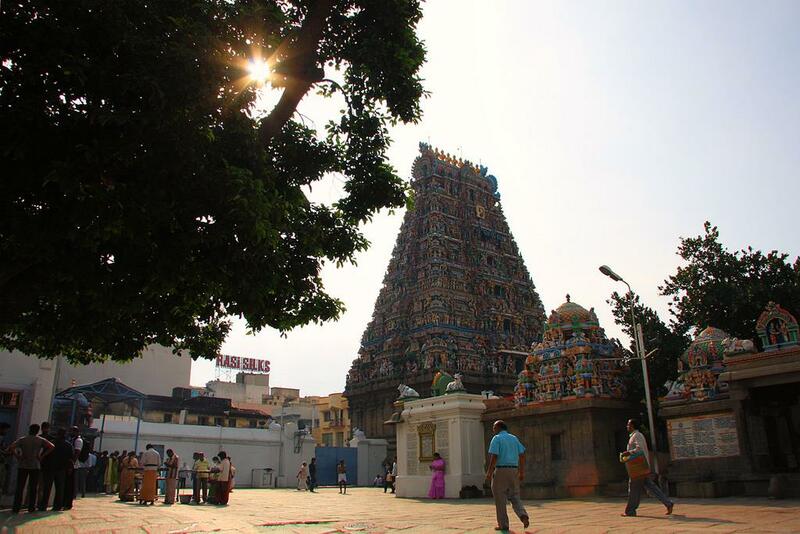 Here is the Top 10 sightseeing in Chennai that you must explore. The capital city of the coastal state of Tamil Nadu – Chennai is located on the Bay of Bengal. The city has been blessed with some of the most beautiful locations in the state which make it home to rich flora and fauna as well as one of the most popular Indian location for movie shooting. The beautiful beaches, the lovely coastal culture and impressive collection of the ancient temples, marvellous scenes, wonderful mangroves and quiet and peaceful places make Chennai one of the most famous and sought after tourist destination all over the India. Availability of several five star hotels in Chennai make it a comfortable choice for foreign tourists. Though every countryside curve in the road offers you a scenic marvel to devour and remember, but still, for the first timers as well as for the persons that have already explored the region of Chennai, we have comprised a list of ten must visit places. The list has all kinds of elements in it – nature, adventure, spiritual, history and any other thing that drives your travelling instinct. So let us explore Chennai like never before to make a list of all the ethereal places which are a must visit. Every list of must visit places in Chennai starts with this name as this wonderful beach is full of natural splendour and awe-inspiring coastal sunsets and sunrises. The vast expanse of sands stretches from Besant Nagar to Fort St. George. Lined by the palm trees on one side and the surf of Bay of Bengal on the other, the Marina Beach will offer you everything. A completely day to soak the coastal sun, an early morning sunrise, the peaceful and honey coloured sunset and a good opportunity for late night stroll or camping on the beach sands. This is a must visit place in Chennai. There is a lighthouse with various tourist attractions such as the aquarium, park, swimming pool and rides which make the place a good outing for the family as well. 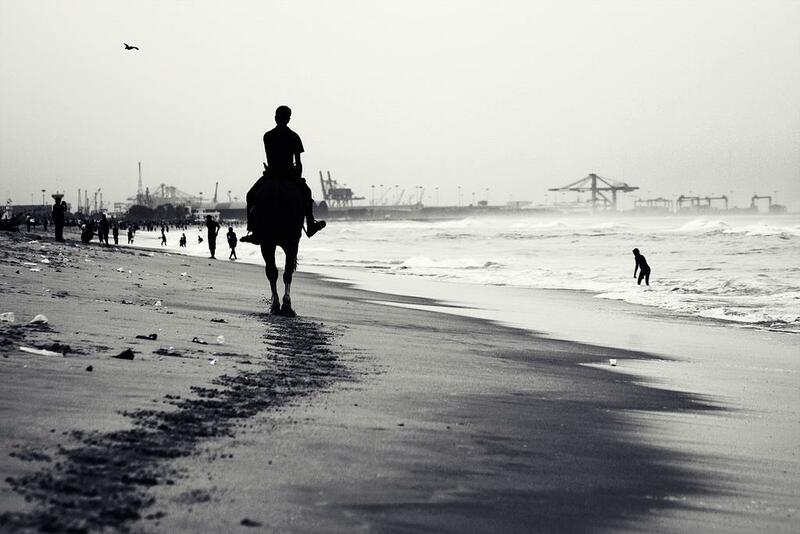 Another splendid place to visit with your friends and family is the Elliot beach which is a tourist hub in Chennai. The place is less crowded than the Marina Beach. 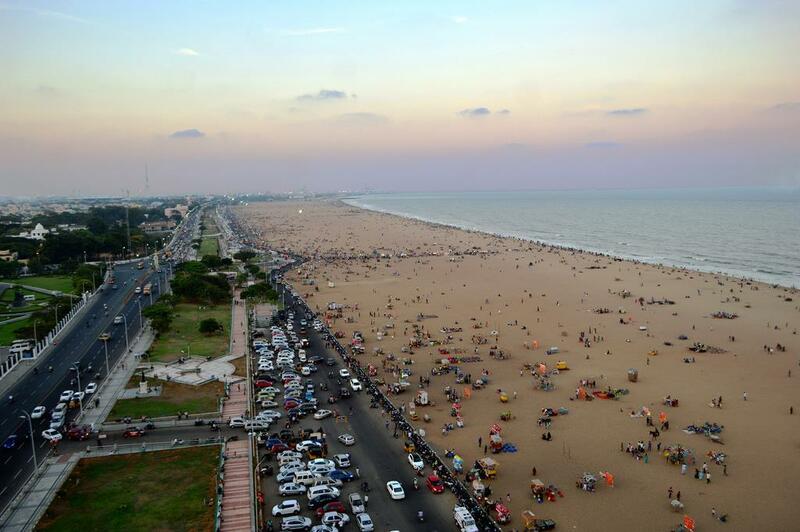 It has now been renamed as the Besant Nagar Beach. Apart from the natural beauty and other offerings which are inherent to the coastal areas (beaches), the place also has the famous Velanganni Temple and the Ashta Lakshmi temple. Another quaint tourist attraction is the Schmidt Memorial which was erected in the memory of a Dutch, known as Karl Schmidt. The person was a sailor by occupation. The memorial attracts a lot of people seeking peace and equanimity with nature. A beautiful church built in the Gothic style – San Thome Church is a must visit place while you are in Chennai. Every traveller going with any kind of instinct will return with a good impression. The surroundings, the building, the overall architecture of the church, the place has stained glass windows and is an important place for the Christian Community. There is a library, a shop for the prayer materials and a museum in the premises of the church. The best thing is that there is no entry fee and you are allowed to take photos in the church. Owing to the location of the city, it is quite expected that there will be a number of beaches which are worth visiting. Another must visit beach apart from the Marina and the Besant Nagar Beach is the Covelong Beach which is watered by the Bay of Bengal. 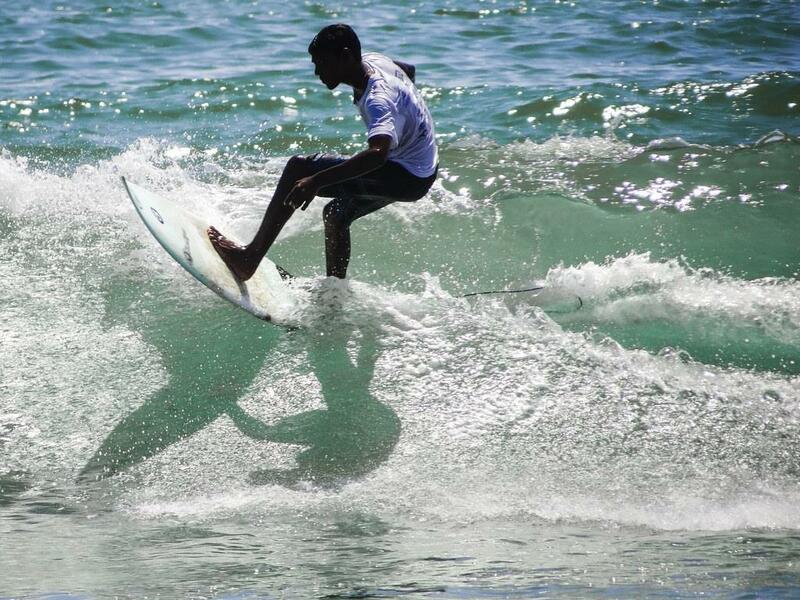 The serenity of the surroundings and the type of activities such as surfing etc. make it an exciting day out. The beach used to be an important port earlier. You can enjoy a number of water sports such as swimming and surfing here and plan a trip to the other important places in the vicinity such as mosques, churches and forts. The Madras Crocodile Bank, the ancient town of Mahabalipuram and various other important places make the Covelong Beach a popular tourist destination. The fort is a remnant of the British Raj and has a scintillating collection of old artefacts such as arms, documents, coins, paintings and the porcelain. The marvellous architecture and the amount of history you can intake here is a special call out to visit the place. The tourists are allowed to take the photos here. The unique architecture, the colourful surroundings and the religious sentiments associated with this place make Kapaleeshwar Temple another one of the popular tourist destinations in Chennai. There is not much clarity about the builders of the temple. If the local ballads are to be believed, the temple was erected in the reign of Pallavas around the 7th century. The temple was, however, destroyed by the Portuguese and the current building belongs to somewhere around 16th century. One of the most unpolluted beaches in Chennai is the Breezy beach with clean sands and pure atmosphere. The beach is a small one, has been untouched by the heavy commercialization of the other popular beaches and is special because of the soothing coastal breeze and the ethereal sunsets. Swim in the calm waters or enjoy a peaceful boat ride with friends, family or even alone. While you are touring such a blessed region and return without paying a visit to the residence of the local fauna and flora, the visit will be incomplete. Similarly, the Chennai visit will be incomplete without visiting the Arignar Anna Zoological Park where you can enjoy the vicinity of nature. Apart from the other animal species, there is a deer safari, a lion safari and of course, an elephant safari. You might feel that there is no good reason to visit a library while you are on a vacation. But there is the thing, without having seen the Connemara Public Library, you will find your knowledge of the Chennai buildings and architecture to be lacking. Erected in the 19th century, the massive building houses some of the centuries-old books. The library enjoys the status of being one of the largest libraries in the Asian Continent. Semmozhi Poonga oozes with natural beauty. It is a Botanical Garden which means that you can enjoy an early morning walk, a lazy day and a fragrant evening in its lap. 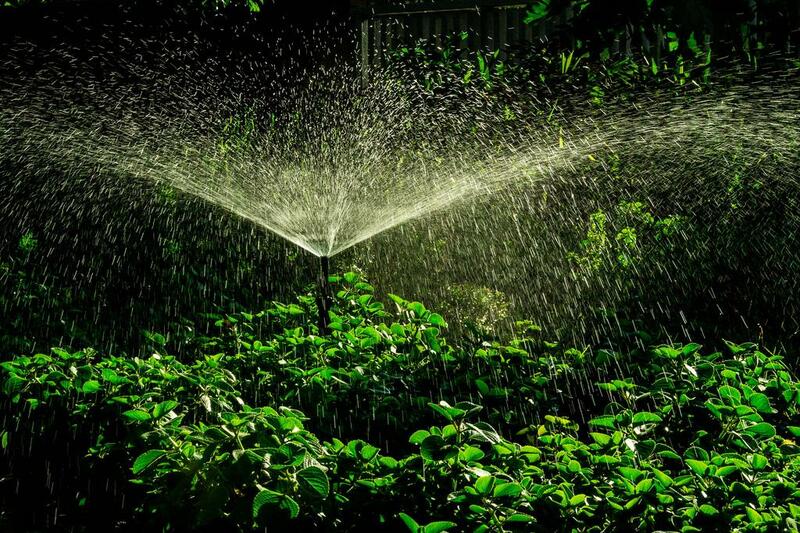 Apart from the rare herbal, medicinal and other species of the rich flora, you can also enjoy the rock and water garden, fern garden, sunken garden, butterfly garden and various other themed gardens. The list can go on for like 30 other place you can enjoy while visiting Chennai such as MGM Dizzee World, Dakshina Chitra, Cholamandal Artist Village, Thousand Lights Mosque, Vellankani Shrine and Sri Parthasarathy Temple etc. Semmozhi Poonga is a very good park near the US consulate. I don't know why tourists are not paying any attention. You won't find any other park in Chennai with so much greenery. If you are in Chennai staying in a hotel nearby, make a visit to this park. It is indeed one of the best attractions in Chennai. The photo mentioned in the article has been taken from my Flickr account (https://www.flickr.com/.../16928946158/in/dateposted-public/) I checked your website for attribution details and I couldn't find any referenced to me. Which means that this article is in clear violation of the licensing agreement mentioned on Flickr.